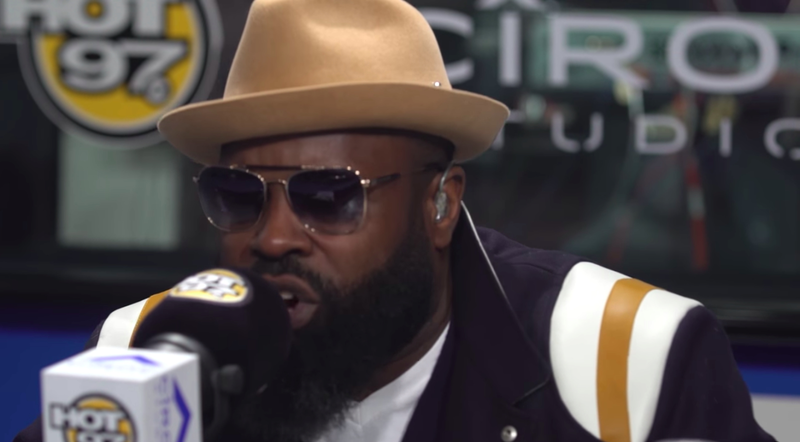 It's been over three days now since Tariq "Black Thought" Trotter completely destroyed his Funk Flex freestyle—a phenomenon Sean "Diddy" Combs has since referred to as "the greatest freestyle in all of hip-hop history"—and The Roots leader is still trending online. With fans perma-mesmerized by the 10-minute onslaught, there was no better time for the rapper to sit next to Jimmy Fallon on The Tonight Show for a change, as opposed to solely backing him with his legendary group. While making an appearance as one of Fallon's Tonight Show guests Friday night (Dec. 15), Trotter joked he was "One step closer to behind the desk." "I planned on doing 10 to 15 minutes…" Trotter reflected, while being interviewed by the beloved host. "Here's the thing, Funkmaster Flex, Hot 97 freestyle, it's an iconic moment. It's super meaningful for a rapper to get that platform. In recent weeks, recent months, I've been checking out videos and the bar has been set kind of high." Fallon, being Fallon, then pulled out a massive scroll featuring each and every bar from the historic freestyle, further showcasing how epic it truly was. After discussing a brief history about how Trotter met Roots co-founder Ahmir "Questlove" Thompson back in high school, the Philadelphia emcee then proves that he's not all freestyled out, delivering an additional minute-long off-the-top rap. "The meaning of a scrimmage I forgot / I go full throttle, whether exhibition match or not / On my off day, I get it how I live, the boss way / Years of blood, sweats and tears would have cost me / To ball like Vince Lombardi and Paul McCartney / Think like Marcus Garvey and dress sharply," Trotter spits. "Messages from Manuel and Puff for me / Fifteen minutes of fame ain't enough for me." Absolutely insane. See Black Thought's recent appearance on The Tonight Show below.